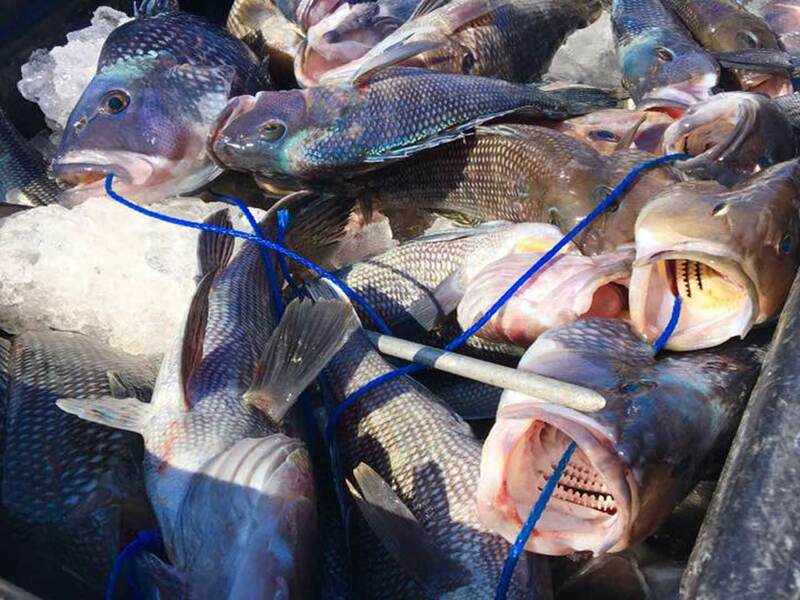 “We offer two full day private fishing trips for up to 6 passengers aboard the FISH HUNTER. The 8 hour trip, we are normally bottom fishing 20 to 35 miles offshore in depths 60 to 100 feet. 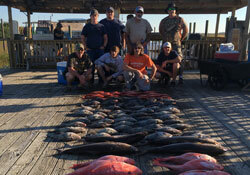 The 10 hour trip, we normally bottom fish 25-55 miles offshore at depths of 75 to 130 feet. 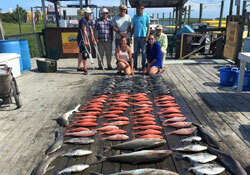 Full day charters offer the possibility of a variety of different species including: Red Snapper, Vermillion Snapper, Silver Snapper, Hog Fish, Trigger Fish, Black Sea Bass, Porgies, Grunts, Scamp Grouper, Gag Grouper, Jacks, King Mackerel, Cobia, Dolphin Fish and Sharks. As always, rods, reels, bait, tackle and fishing licenses are all included in the price of you trip. Just bring your camera, food and drinks for the day!